This is another small Rose painting. 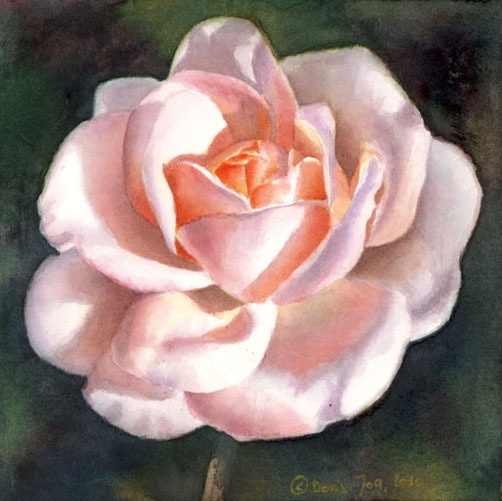 This pink apricot rose painting with a dark background is like a portrait of a rose. 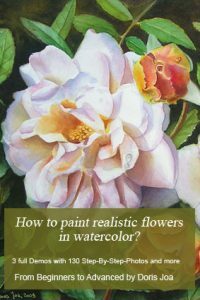 It is a painting of the Rose Clair Renaissance, one of my favorite roses. 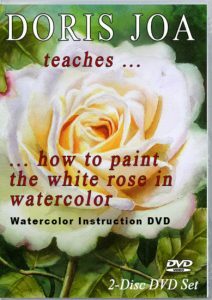 This Rose has a pale pink colour and I love to create the shadows. The inner glows with an yellow underwash of Indian Yellow, I then added Translucent Orange and then a mix of Scarlet Red and Translucent Orange. 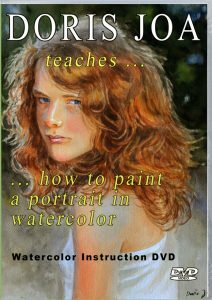 Artists often ask how a dark background can be created. It is really easy to do. When I am doing a background I do at first wet the area, on which I want to paint. Sometimes I do paint on the dry area, apply my colours there and then go immediately with a wet brush over the edges, so that no hard edges are created. But this I do only on really small areas. Now back to the better method. 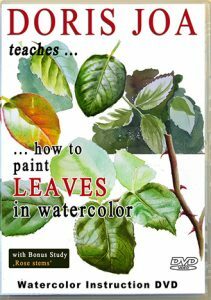 🙂 I do wet the area I then apply my colours just I like them, some yellow, some orange, some sap green, some red and also some darker colours like a mix of alizarin crimson and phthalo green or I am using Paynes Grey Bluish. 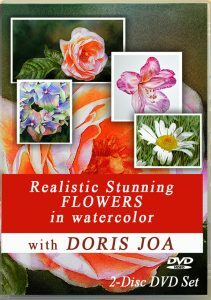 I apply these colours side by side, this allows me also to create an interesting background, when you want that some lighter areas will show between some darker areas. Of course the first underwash will not be enough, the colours are light and it would look too colourful. Wait until all is dry and then do the same. Add the green, where you want to have the green, add more yellow, where you want to have it glowing a bit more, add some darks, when you want more darks. When this is still not enough, let it dry and then add another layer. Do it so long until you are happy with your background. It works absolutely perfect and is so easy to do. 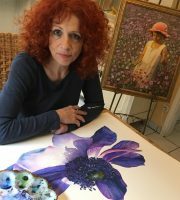 The darker the background the more the flower will pop in your painting, adds more drama to the artwork. The shadows on this Rose were created with a mix of Alizarin Crimson, Phthalo blue, a bit of Translucent Orange to the mix, where I wanted to have the shadows warmer. Where I wanted to have them cooler I used a bit more of the blue.